Have you ever wondered what is blockchain technology? How does blockchain work? Why is blockchain so important and revolutionary as a future technology? Geeks in Cambodia had the opportunity to talk with Pierre Marie Riviere, Lending Network Lead and Mathieu Valez, Lead Tech, from The DApact, a Cambodian startup whose aim is to introduce blockchain technology to the Kingdom and help us understand how important this technology is in the future of social impact. They will also share with us all about The DApact’s plans, as well as the company’s journey so far in the Cambodian startup ecosystem. Hi Pierre Marie, nice to meet you, let’s start off with an easy question. What is The DApact? 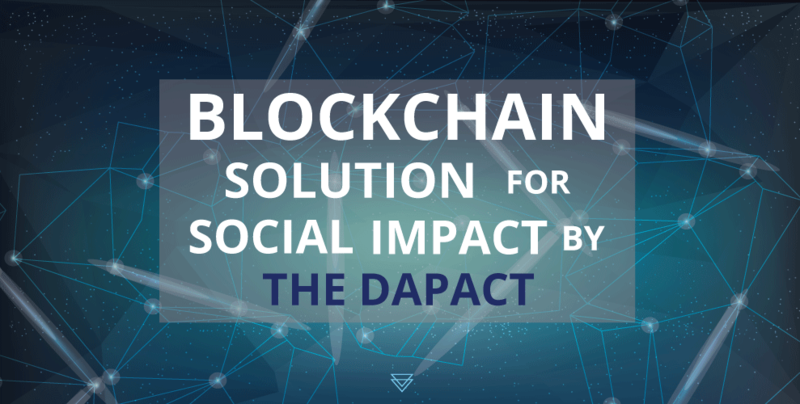 Pierre-Marie Riviere: Hi Roman – The DApact is a blockchain-based framework for microfinance that aims to unify lenders, underwriters and borrowers with minimized trust. Blockchain can reduce the trust friction between actors in the lending process – especially in essentially archaic systems like microfinance. This is mainly achieved by allowing the transfer of funds directly to borrowers, even unbanked, without a custodial intermediary. Today’s microfinance institutions (MFIs) are custodial intermediaries – they hold a financing capacity and disaggregate it in multiple microloans – and this has large implication on their operating efficiency. Our blockchain protocol aims to change this, by allowing the initial lender (foundation or development agency or crowdlending platforms) to trace its funds to the final borrower, and confine the field partner (local lender or pawnshop) to its productive tasks – underwriting and collection. Could you give us more insights about the blockchain technology and how it shall impact our society? Mathieu Valez: What we call blockchain is a decentralized database that is essentially persistent, transparent and append-only. It means that you can add data but not change previous data within it. It does this through a mechanism for creating consensus between distributed parties that do not need to trust each other but just need to trust the mechanism by which their consensus was reached. Now think of where trust in data is needed in your sector. Who is mandated to secure this trust? Such actor may disappear in the coming years (i.e. radically change its functions). Blockchain is the revolution of trust. This goes a long way if you imagine its combination with AI and the Internet of Things. Further append game theory and cryptonomics to blockchain, and you possibly get a largely decentralised society. Some people in the blockchain space predict the very idea of centralised corporation is bound to disappear. Why did you start The DApact? Can you imagine a future where blockchain technology plays a major role in social good? Wonder how The DApact works for such a purpose? PMR: We believe the only consistent impact microfinance can have is providing impecunious people with an affordable access to lending services. Crowdlending platforms like Kiva have lent over 1 Bln USD to partnering MFIs with absolutely no interest, and still a microloan on Kiva is disbursed at a whopping 35% interest rate to the final borrower. Sounds like someone is getting fat, doesn’t it? As blockchain brings more transparency and control in the microfinance process, it is bound to become the primary channel for development aid distribution. MV: The framework we develop empowers social lenders to set favorable loan conditions as it creates a direct bound with the final borrower. How has The DApact evolved since the beginning? PMR: The initial concept was to setup an MFI integrated with its own crowdlending platform, and leveraging the buoyant smartphone penetration in developing countries to improve the underwriting process efficiency. As it turned out, crowdlending does not work as a disintermediation tool as I had to seal multiple partnerships with e-wallet providers, foreign exchange partners and mobile wallet providers, each of them adding their own markup on the funds processed. In 2017 we came up with a novel blockchain protocol and combined it with the UIs we had in place. The DApact is now mostly developed as a plug-and-play framework for existing licensed lenders. What were some of the obstacles to carry out a startup project in Cambodia? PMR: At a local level – finding a workplace for all the four of us. We were lucky enough to be sponsored by Outpost Cambodia, and got amazing premises in Chroy Changvar. We go to work by boat, beat that! What are your plans for The DApact in the future? MV: We’re conducting a second pilot with an Australian crowdlending platform. These pilots are needed to unit-test elements of our framework – from chaincode, to UIs, to testing how underwriters can use the protocol. We’re also working on pilot-testing The DApact in Ivory Coast. With that, we wish The DApact all the best and we are sure that we will be seeing even greater things to come! For more information on The DApact, head on over to their website here.